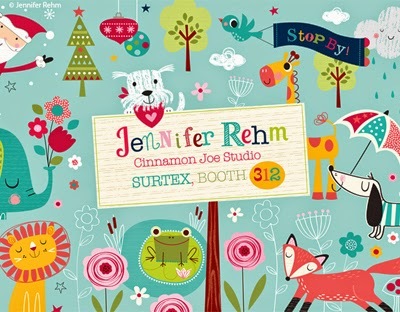 Our second studio today is Cinnamon Joe who will be in Booth 312. 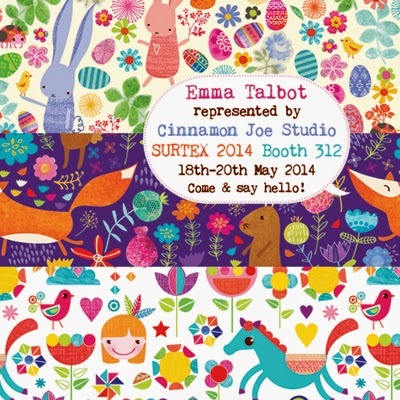 Cinnamon Joe have twenty wonderful artists to showcase and each one has made a flyer here to demonstrate their style. 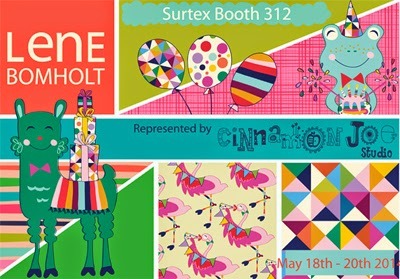 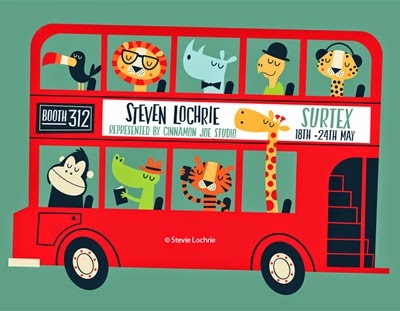 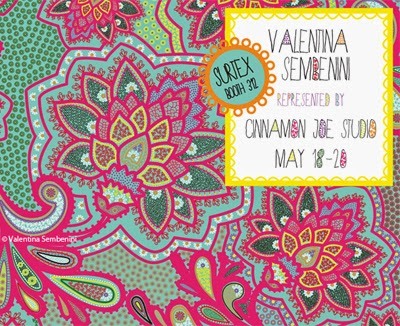 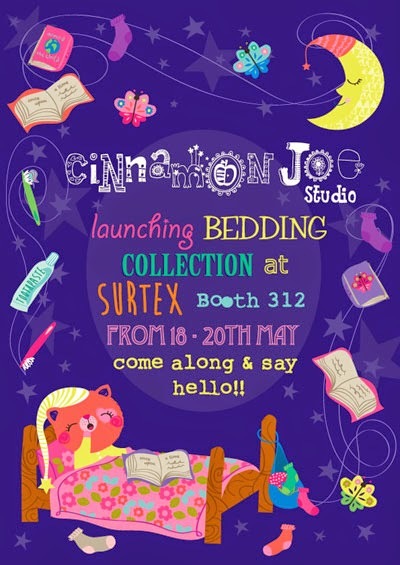 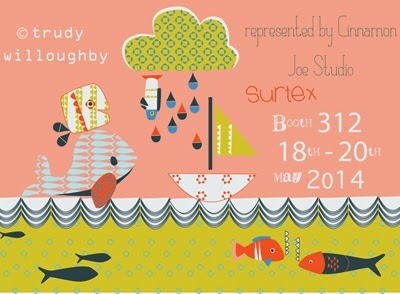 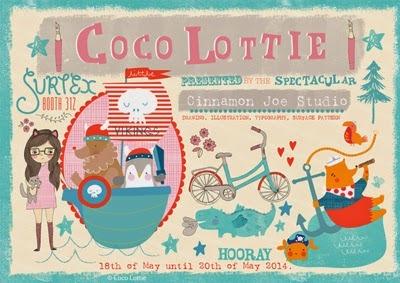 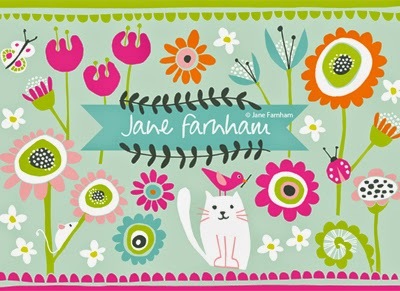 Also at Surtex look out for Cinnamon Joes' exciting new Bedding Print Collection. 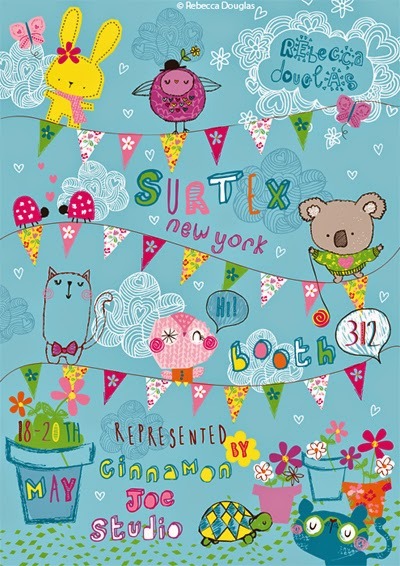 The collection is aimed primarily at the young end of the market, but it also goes up into tween and a little older. 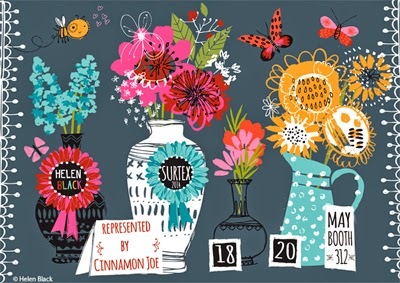 They have been designed as sets, so on one page will be the main print and all the accessory prints, and a bedroom setting is also included showing how everything has been co-ordinated. 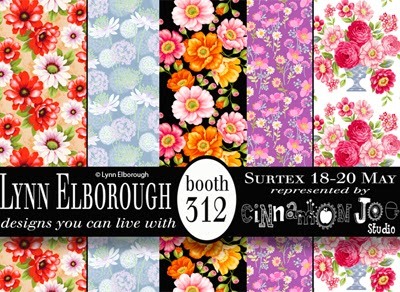 On the second page is the main print scaled to full size. 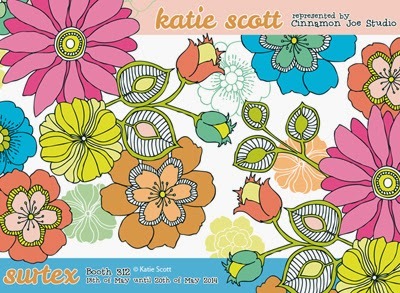 The collection is already over a 100 sets, and it's been really exciting for all the studio seeing them printed out on a large scale. 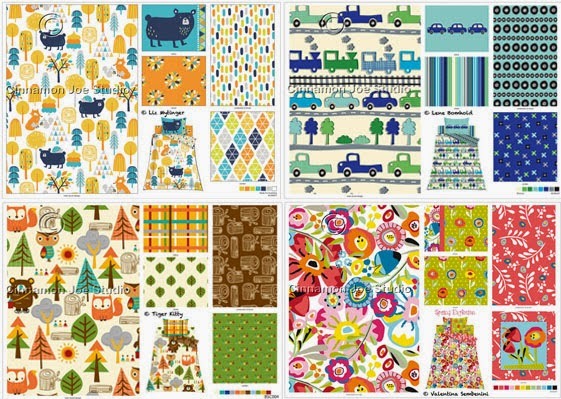 Thank you so much for posting my work! 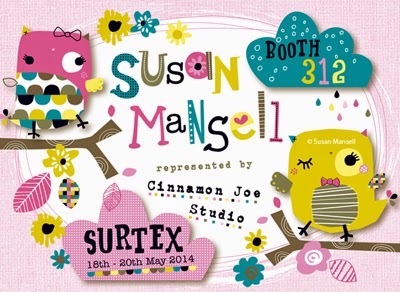 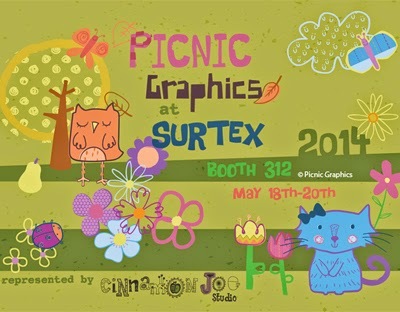 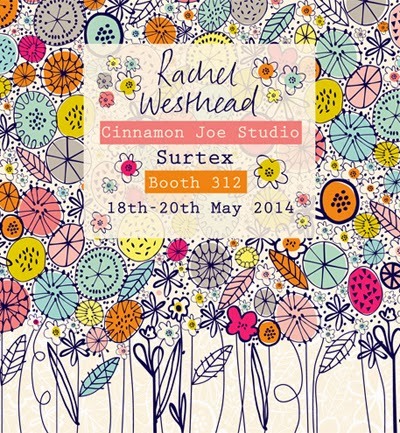 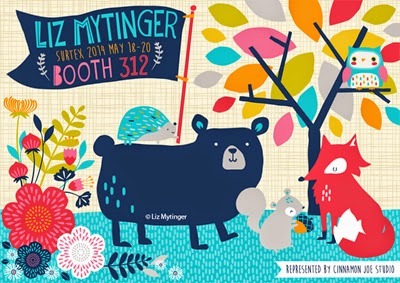 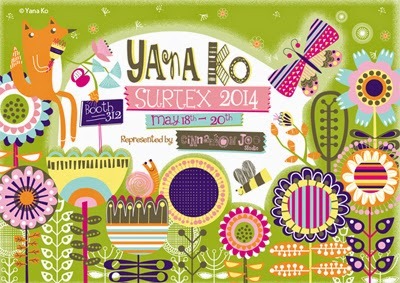 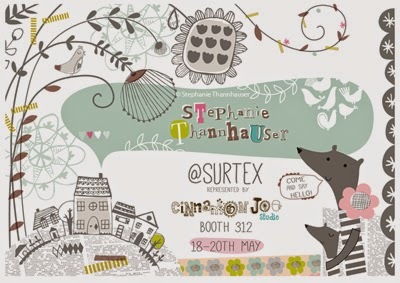 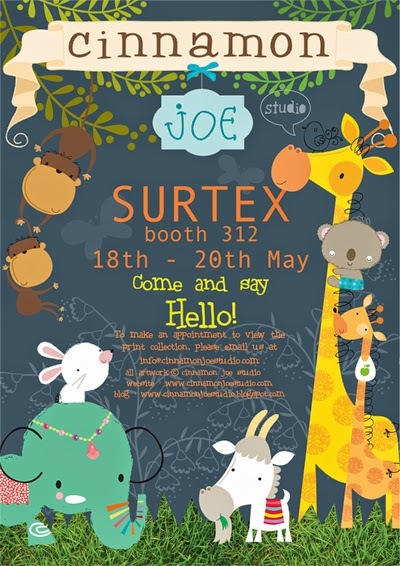 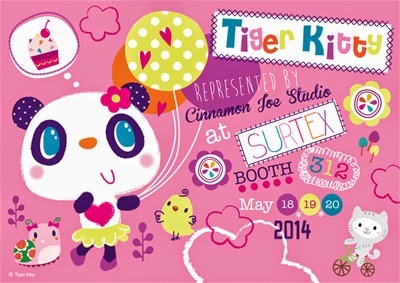 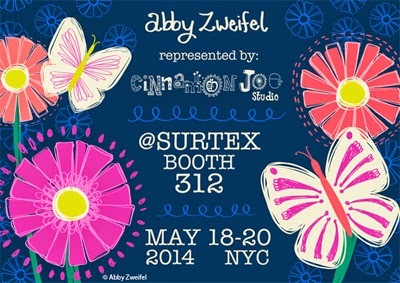 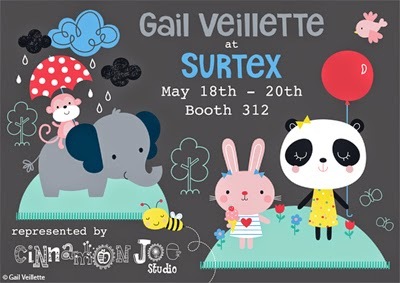 This is my first year at Surtex and with Cinnamon Joe and I am very excited.